A smartwatch is essentially a miniature computer that you wear on your wrist. Depending on the model, a smartwatch can act as a portable media player, thermometer, digital camera, pedometer, heart rate monitor, altimeter, GPS receiver, or a compass. It can interface with your smartphone for real-time telemetry and data monitoring. With so many functions packed in such a small package, the battery of a smartwatch carries a very heavy load. For many people, having to recharge a watch is such a foreign concept. For this reason, a smartwatch with a long battery life provides a premium level of convenience. In this article, we have compiled a list of the best smartwatches with a long battery life. If you don’t want the hassle of charging a smartwatch every night, then any one of these models will be perfect for you. In the field of fitness trackers and smartwatches, Fitbit is one of the top names. The Fitbit Blaze is one of their most popular and best-selling models. This smartwatch is geared towards fitness enthusiasts. With a battery life of 5 to 6 days, you can get through almost an entire week without worrying about charging your Fitbit Blaze. The Fitbit Blaze comes pre-loaded with an array of fitness apps that will set your fitness goals, monitor your workouts, and track your progress. A multi-sport mode allows you to use the unique features of the Fitbit Blaze tailored to the particular activity you are doing. The SmartTrack feature automatically records your workout stats which the Blaze can helpfully summarize for you at the end of the week. To help you keep track of your progress, the Fitbit Blaze wirelessly syncs and provides detailed summaries on the Fitbit app and dashboard. In addition to the highly specialized fitness tracking functions, the Fitbit Blaze can also do all the usual functions expected from smartwatches. The Fitbit Blaze will notify you of incoming messages, calls, emails, and calendar alerts. You can choose from an array of custom clock faces to make all the information that is important to you available at a glance. Fitbit also sells a huge variety of accessory bands and frames, just in case you want to spruce up your Blaze. 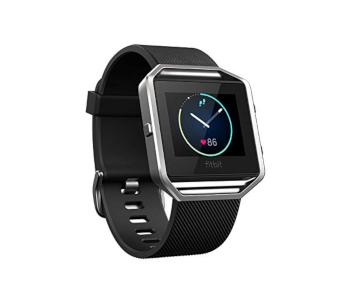 Overall, the Fitbit Blaze is one of the best fitness trackers available in the market today. 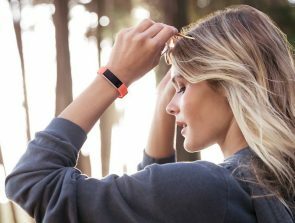 Although it specializes as a fitness tracker, it also has the usual smart watch capabilities, augmented with a battery that can last up to 6 days on a single charge. 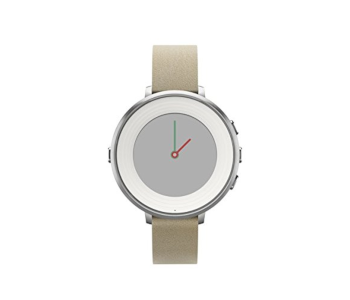 The Pebble Time Round is a sleek smartwatch that eschews the usual rectangular frame found in most other models. Instead, it sticks to a time-tested round clock face that keeps it classy and inconspicuous. 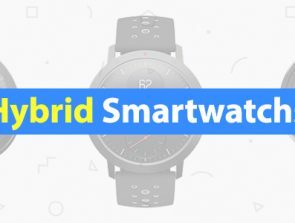 It holds the distinction of being the world’s lightest and thinnest smartwatch, which belies the wealth of features that is hidden beneath its visually appealing surface. Similar to other Pebble smartwatches, the Pebble Time Round uses a power-saving e-paper display. By not relying on an LED screen, the Pebble Time Round extends its battery life to an above average 2 days. Another great thing about the battery of the Pebble Time Round is that charging it to full capacity takes a mere 15 minutes. Through the Pebble app store, you can customize your Pebble Time Round with an array of watch faces and apps. The Pebble Time Round excels in all the usual functions we have come to expect from smartwatches, such as sleep monitoring, step tracking, and calendar notifications. With just a glance, you can check if you have received a message or a call on your phone, or if you have an important appointment coming up. Organizing your schedule is as easy as ever with the Timeline feature which arranges all important events – appointments, events, calls and messages received – in chronological order for easy reviewing. The app also tells you what lies ahead to help you plan for the next day. With the Pebble Time Round, you won’t need to go through the anxiety of having to charge your smartwatch every single day. It is a fitness tracker and personal organizer packaged into a neat and elegant package that also does an excellent job of telling you what time it is. The Zenwatch 2 from ASUS comes pre-loaded with the Android Wear software, allowing it to sync seamlessly with most Android smart phones. Being specifically made for Android devices gives the Zenwatch 2 advanced functions such as access to the Google Assistant with the ‘OK Google’ command. The Zenwatch 2 features a touchscreen interface with a 1.45-inch AMOLED Gorilla Glass Display. This durable material protects it from deep scratches which can eventually cause the screen to crack. The watch has an IP67 water resistance rating, meaning you don’t have to worry about water getting into the watch even if it gets submerged 1 meter deep. Even though the Zenwatch 2 has an extensive array of features, it still has a better than average battery lifespan of up to 2 days. The extended battery life is largely due to its screen dimming gesture which activates the screen’s ambient mode as soon as you lower your wrist from the natural viewing orientation. Another nifty feature of the battery of the Zenwatch 2 is the HyperCharge technology that builds up to 60% capacity after just 15 minutes of charging. ASUS offers up to 50 choices of customized watch faces for the ZenWatch2, although you can also use the ASUS FaceDesigner if you are not happy with your choices. The ZenWatch2 also includes a suite of fitness tracking and workout monitoring apps that you can use to reach your fitness goals. You can even remotely control your phone’s camera with a series of quick gestures on the ZenWatch 2. 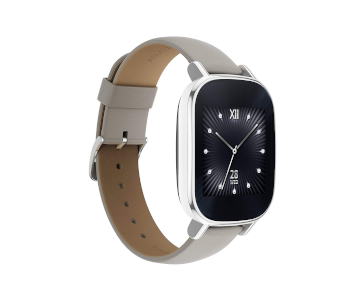 In terms of versatility, it is hard to beat the ASUS ZenWatch 2. What is even more impressive is the fact that it can manage to run up to 2 days, despite its touchscreen interface and suite of features and apps. Garmin is an industry leader in designing and creating devices that use their high-quality GPS technology. The vivoactive HR is no exception. The integrated GPS technology makes the vivoactive HR the perfect smartwatch and fitness tracker for people who are into biking, running, swimming, skiing, and paddle boarding. The vivoactive can even track your location and mileage even when you do sports indoors. The vivoactive HR also comes with a suite of health monitoring apps such as the Elevate heart rate monitoring technology that keeps track and gauges your effort without the need for a cumbersome chest strap. The pedometer app seems to be fairly accurate, and a sleep tracking app monitors the quality of sleep that you get every night. Although the vivoactive HR tracks your activity 24/7, its battery can surprisingly last up to 8 days. Its relatively simple graphical interface probably helps the vivoactive HR in this department. Still, you will not feel as if Garmin held back on the features of the vivoactive HR as it even has a touchscreen interface and customizable watch faces. Beyond its fitness tracking capability, the vivoactive HR also interfaces with your smartphone to notify you of incoming calls, emails, and messages. Although the small screen of the vivoactive HR means you won’t be able to do anything more than view these notifications, the vivoactive HR will definitely help you look at your phone less frequently. 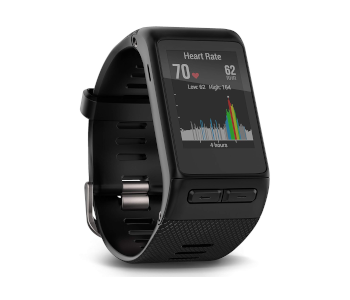 If you are into fitness in a big way, then the Garmin vivoactive HR is the perfect smartwatch for you. Its durable build and fitness-geared capabilities are further augmented by an 8-day battery life. The Pebble Smartwatch is compatible with both Apple and Android devices, providing virtually endless customization and personalization options. With the Pebble open platform, new apps are continuously being developed by a community of smart and dedicated developers. This is in addition to widely used apps for emails, social platforms, health and fitness, music, and gaming. A customizable watch face puts your top priorities at the forefront, ensuring that you don’t miss out on important notifications. Through the use of an energy saving e-Paper interface, the Pebble Smartwatch extends its battery life to an impressive 5 to 7 days. This means you can get through your entire workweek without worrying about the battery of your smartwatch dying. With a water-resistant build and a scratch-free surface, the Pebble Smartwatch can take quite a beating even when your day gets rough or you get caught in heavy rains. Its lightweight, weather-proof design also makes the Pebble Smartwatch an excellent fitness tracker to wear when you go running or cycling. 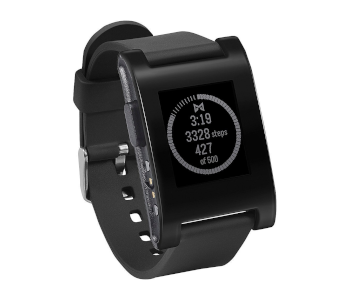 The Pebble Smartwatch is a simple smartwatch that goes back to basics in a bid to extends its battery life. It has no touchscreen interface, colored display, or wireless charging capability. Pebble makes up for these shortcomings with an elegant look, fun customization options, and very friendly price tag. If you are looking for a smartwatch that will last as long as a week without needing to be charged, then the Pebble Smartwatch is an excellent and affordable choice. In terms of elegance, the Vector Luna is very hard to beat. This is the kind of smartwatch that you can wear with your suit and tie when you attend a formal dinner. The full monochrome display helps the Vector Luna retain a classy look while also serving to minimize its power consumption. By sticking to the basics, the Vector Luna manages to run more than 30 days in a single battery charge. Being minimalist does not make the Vector Luna boring. It is compatible with both Apple and Android devices, through which you can customize its watch face and select notifications and news streams that are relevant to you. It can also be used with the usual fitness tracking apps that measure the number of steps you have taken, the calories you have burned, and how well you slept. The Vector Luna has no touchscreen interface, allowing its watch face to be clear of complicated menus. With a clean interface, the always on screen looks just as elegant as its stainless steel 316 and mineral glass construction. It also has a highly polished finish and a stainless steel butterfly enclosure. If you’ve always wanted a smartwatch but don’t want to look like you’re wearing a screen on your wrist, then the Vector Luna is just the right model for you. An industry-leading 30-day battery life is just a bonus. The Fitbit Versa is an excellent smartwatch for people who would like to elevate their fitness goals. 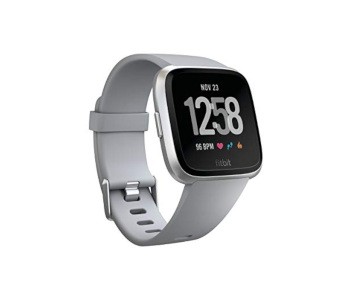 With more than 15 exercise modes, the Fitbit Versa can automatically recognize what exercise you are doing and monitor your performance. With personalized on-screen coaching, you can level up your performance every time you work out. It’s even water resistant up to 50 meters, so you can safely wear it even while you do your laps on the pool or even on a day out on the beach. The Fitbit Versa has a very light and slim build that is barely noticeable and will not detract from your usual look. Depending on your level of activity, it can last 4 to 5 days in between charges. This is an impressive number considering that the Fitbit Versa monitors your heart rate 24/7. Aside from fitness tracking, the Fitbit Versa also seamless interfaces with your smartphone to make everyday life more convenient. With an ever-expanding library of apps from Fitbit Labs, you can use the Fitbit Versa to stay updated on local news, finance, and your social media platforms. The special edition of the Fitbit Versa even comes with an NFC chip, allowing you to make wireless payments without even reaching into your pocket. True to its name, the Fitbit Versa is one of the most versatile smartwatches you can get. With a battery that can last up to 5 days on a single charge, you will not have to worry about the Fitbit Versa leaving you high and dry when you need it the most. The Suunto Traverse smartwatch was designed specifically for hikers and explorers. Using integrated GPS and GLONASS technology, the Suunto Traverse will help you track your routes and find your way in the wild. This smartwatch can even help you plan your hike using the Suunto Movescount app, which can provide topographic maps and locations of points of interest. 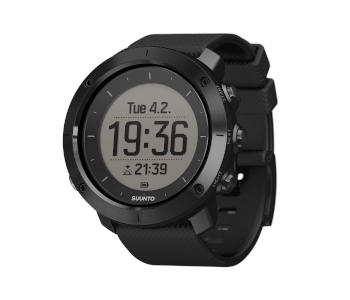 Since the Suunto Traverse was made for long outdoor trips, it is absolutely essential that it has a long battery life. 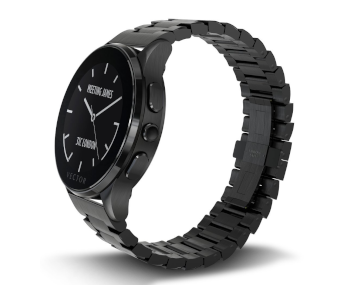 With 4 to 5 days between needing to charge its battery, this smartwatch does not disappoint. To further augment its battery life and give you more peace of mind, this bundle comes with the WEARABLE4U Power Pack which includes a 2200mAh power bank and adapters for charging cables. Aside from superior GPS tracking technology, the Suunto Traverse comes with a couple of nice features that make it an excellent outdoor smartwatch. It is water resistant up to 100 meters, so you do not need to worry should you take it for a swim or if you get caught in heavy rains. It has an integrated altimeter, compass, weather forecast app, and a storm alarm. It also has a super-bright backlight that you can use as a flashlight. When you finish your hike, the data collected by the Suunto Traverse will help you review your track as well the number of steps you have taken and the calories you have burned. If you spend a lot of time outdoors, then the Suunto Traverse smartwatch was designed just for you. With a very accurate GPS and GLONASS navigation system and a long-lasting battery that will not let you down, this smartwatch may be the best addition to your hiking gear. 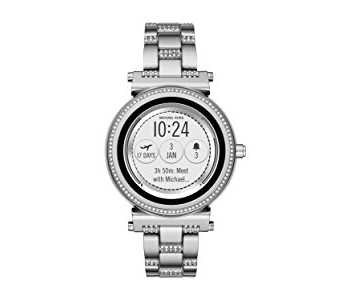 The oversized Michel Kors Bradshaw almost seems to elegant to be a smartwatch. With its stainless steel band and case finished with luminous silver, the Michael Kors Bradshaw looks like something you can wear to a formal dinner. Michael Kors prides itself in making the Bradshaw both functional and fashionable, and it seems they have succeeded on both accounts. The watch face of the touchscreen interface of the Michael Kors Bradshaw can be customized in a huge number of ways. Combined with the choices of interchangeable bands, you can change up how the Bradshaw looks as frequently as you like. Whether you’re going for minimalist and classy, or sporty and hip, the Bradshaw can keep up with your style choices. Going beyond its looks, the Michael Kors Bradshaw hosts an array of productivity-enhancing functions and apps that make everyday life more convenient. In terms of battery life, it is not too impressive: between 1 to 2 days for each battery cycle. 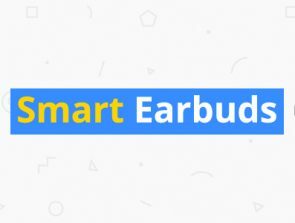 However, it comes with Google Assistant compatibility that allows you issue voice commands for simple tasks such as checking the weather and setting calendar appointments. Seamless syncing with your smartphone means that the Bradshaw can display important notification real-time. It also has built-in fitness and activity tracking apps to help you get the most out of your workouts. In terms of features and battery life, the Michael Kors Bradshaw will not rank anywhere near the top. What it excels at is in its visual appeal. It is easily one of the best-looking smartwatches available today. If you want the convenience of having a smartwatch that you can match with your formal wear, then you do not need to look any further than the Michael Kors Bradshaw. 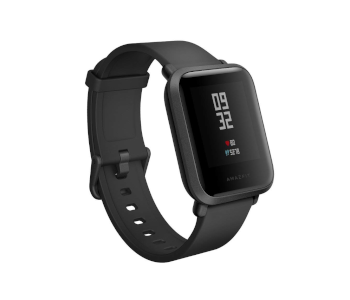 The Amazfit Bip is an affordable and lightweight smartwatch that has many of the features more commonly found in higher end models. At only 1.1oz, you can wear the Amazfit Bip all day while hardly noticing it. A huge selling point of the Amazfit Bip is an amazing battery life of more than 30 days. With such a battery life, you might think that the Amazfit Blip is devoid of the usual smartwatch functions, but you would be wrong. Its built-in heart rate monitors and integrated GPS and GLONASS navigation system allows you to monitor and review the steps you have taken per day, the calories you have burned, and the quality of your sleep. It even comes with special sport modes that have specific monitoring functions for running, cycling, walking, and exercising on a treadmill. The Amazfit Bip can be tethered to your smartphone to provide important notifications when someone calls you or sends you a message. It can interface with the most common apps such as Facebook, Twitter, LinkedIn, and Slack so that you never miss a beat. With an IP68 rating, the Amazfit Bip has moderate dust and water resistance. Customizing the Amazfit Bip is easy and fun with its huge array of watch faces and interchangeable bands. The style of the Amazfit Bip focuses more on being hip and fun. If you’re into bright and gaudy colors, then you’ll feel right at home with the Amazfit Bip. Overall, the Amazfit Bip is probably one of the best smartwatches you can get in its price range. In addition to providing all the fitness tracking and wireless notification abilities of other smartwatches, the Amazfit Bip has a very impressive battery life of 30 days. With the Amazfit Bip, charging your smartwatch can be demoted from being a priority to a mere afterthought. Smartwatches were developed to make our lives more convenient by providing us with ways to improve our physical fitness and reduce the number of times that we have to look at our phones in a single day. However, a smartwatch that has a short battery life and needs to be charged daily defeats this purpose. 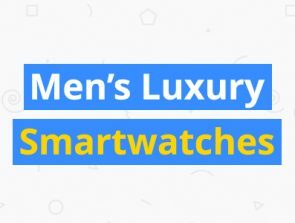 If you’re looking for a smartwatch that can last several days without charging, then any of the models we have listed above should make you happy. Whether your focus is on style or function, there is a smartwatch with a long battery life that will fit you perfectly.